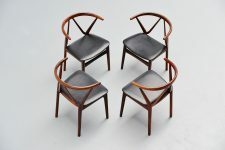 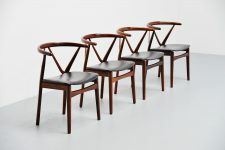 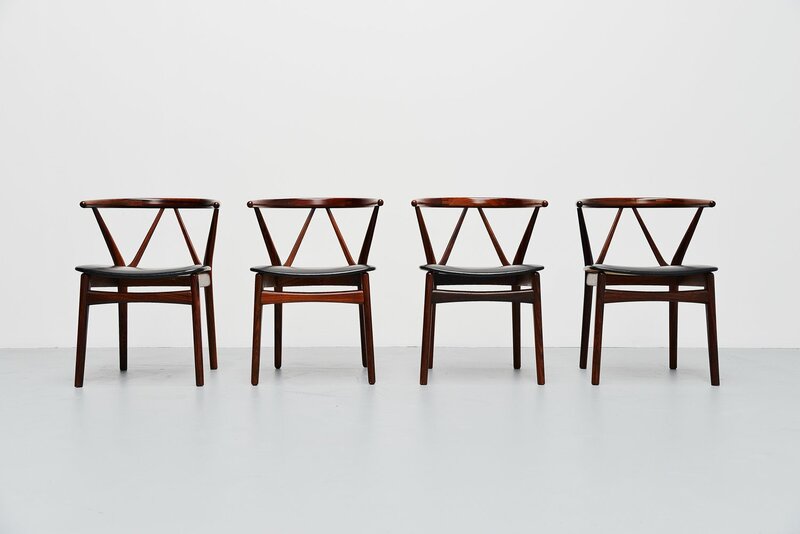 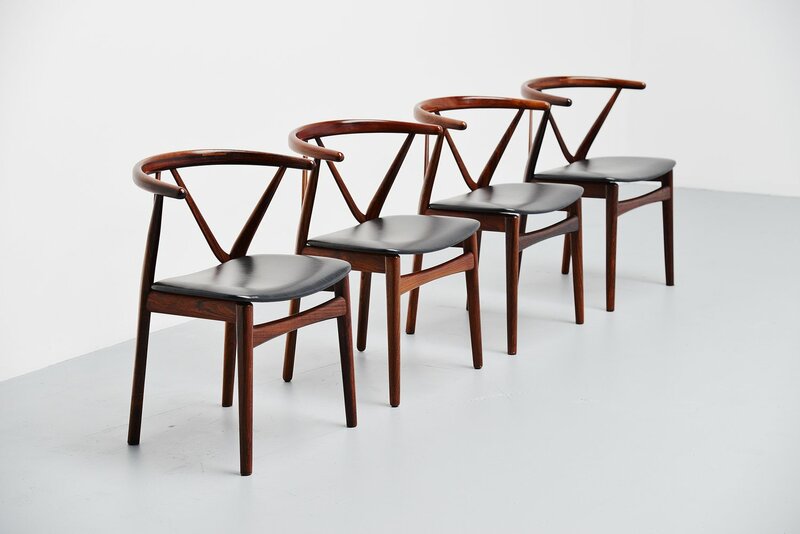 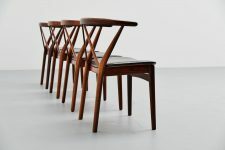 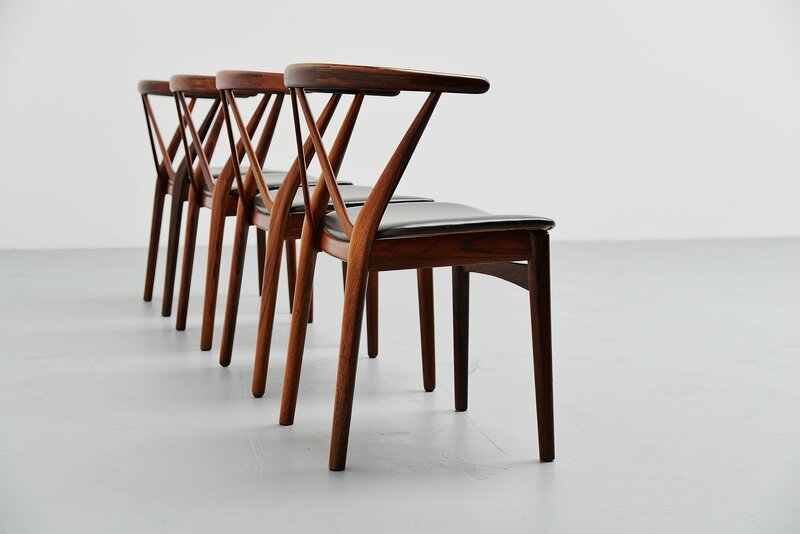 Sculptural set of dining chairs designed by Henning Kjaernulf for Bruno Hansen, Denmark 1963. 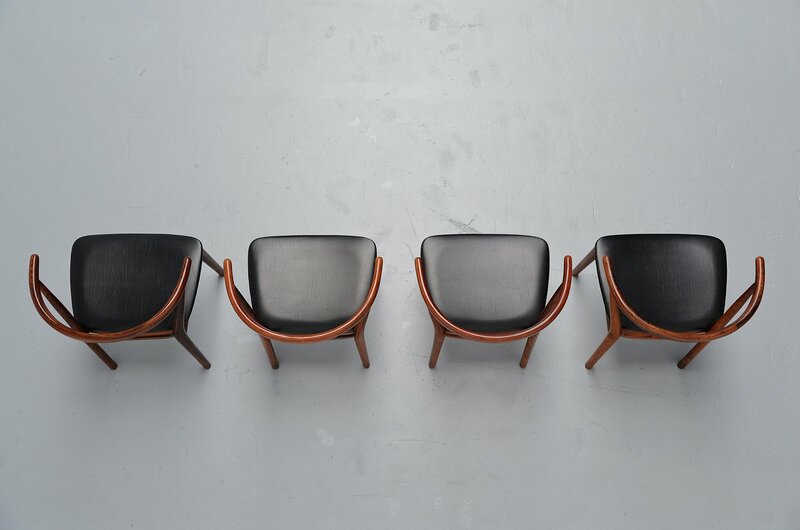 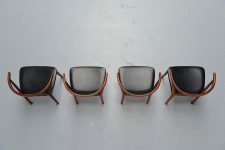 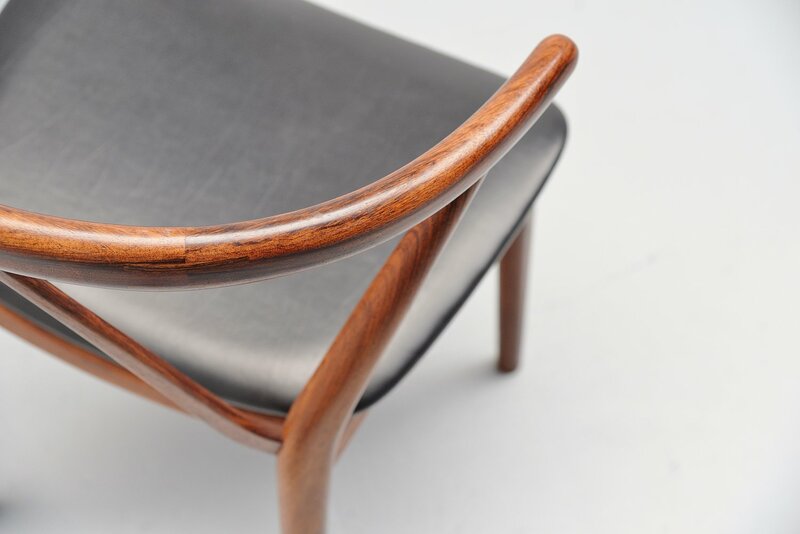 These chairs are made of solid rosewood and have a faux leather seat. 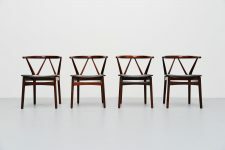 The chairs are beautifully crafted into perfection, sculptures to sit on. 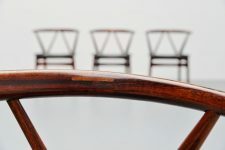 All the chairs are in fantastic original condition and have a look at the lovely connections at the back. 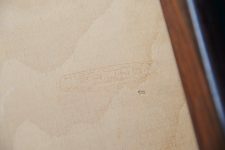 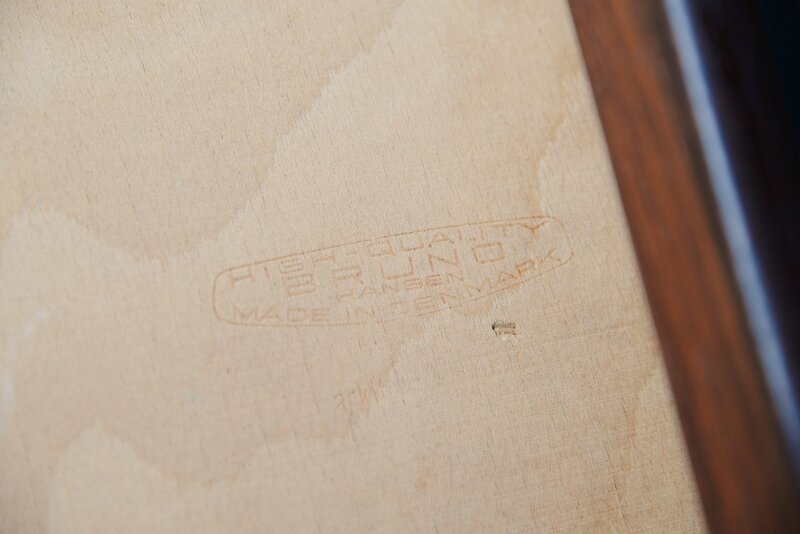 Chairs are marked with the Bruno Hansen stamp at the bottom.